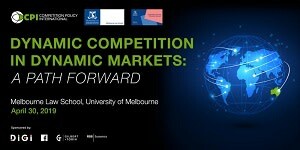 We invite you to a joint Competition Policy International – Competition Law & Economics Conference to be held at the Melbourne Law School on 30 April 2019. We have assembled an exciting programme with expert contributors from around the world to canvas key developments and major debates in digital markets. Places are limited so please do not delay in registering. Attendance is free of charge.